Photo: Alupus/ CC BY-SA 3.0. 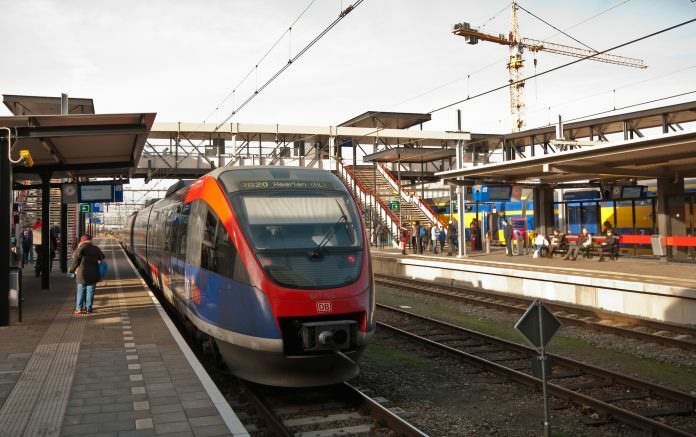 The European Commission is to put €24 million towards the electrification and double tracking of the railway linking Heerlen in the Netherlands and Aachen in Germany. The grant has been included in the latest round of funding provided through the Connecting Europe Facility, which the European Union uses to help finance critical transport infrastructure projects. An announcement by the Dutch Ministry of Infrastructure and the Environment on July 6 confirmed the road, rail and aviation projects in the Netherlands to benefit. Work funded by the grant includes the electrification of the line between Landgraaf and the Dutch/German border and the construction of a second track between Heerlen and Landgraaf. The signalling between Übach-Palenberg and Aachen will also be upgraded and two new platforms will be installed at Herzogenrath station. Another €5.2 million grant has also been issued to install ERTMS signalling equipment on 63 locomotives for the Rotterdam-Genoa freight corridor.